This tour delivered exactly as promised. 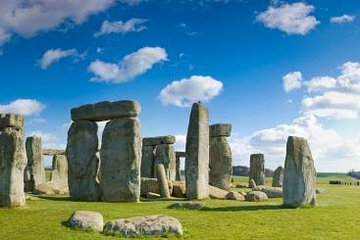 I was looking for something that wouldn't take up a full day away from London and that would also allow a bit of an "average" pace to tour Stonehenge. Meeting at the starting point was straight forward. Representative from tour company did a bit of an intro, checked our tickets before eventually getting off the bus. The bus driver (Paul) was fantastic - entertained us with some facts and humour leaving London and then ensured we were all ready with our cameras when approaching Stonehenge. No issues with tickets, audio guides - all was flawless. We did have almost a full two and a half hours at Stonehenge, plenty of time to walk around the stones and also time at the visitor centre, shop, and cafe. Recommend taking the shuttle bus to/from the stones to save time. Arriving back in London, Paul provide a bit more commentary as we drove to our stops (there were two you could get off at), which wrapped up pretty much right on time. Highly recommend! Stones in a Field!Visiting on the winter solstice was special, we took the morning only direct to Stonehenge Tour. 6.5 hours was a good time span- easy drive out, driver was entertaining and had lots of “dad” jokes! I liked the fact that he gave us some great history tips and as soon as we hit the M3 he let us be until we got there. Better than listening to someone rabbit on for 2 hours! Great amount of time spent at the Stones, we had 2.5 hours, enough to listen to the audio, have some great Cornish Pastys from their cafe and buy the obligatory woolen blanket and hat! Easy trip home and I think the whole coach slept! Would do it again with this company. Well organized! This trip was just as advertised. Drive to Stonehenge with no commentary. The retrieval of the tickets was chaotic at the tourist center and could be more clear. Major confusion at Victoria station, no staff available to give info on departure.All info was provided via the audioguide on arrival. If you are not looking to spend an entire day trip just to admire the famous rocks in a field, this is the perfect tour! For many, just seeing Stonehenge is on the bucket list and this tour is as quick as it could possibly be, given the two hour drive to the site. Plenty of time to see the stones and learn about their origin as well as grabbing some food, visiting the gift shop and seeing the exhibit. Our driver was entertaining and we were back in London in time to do some late afternoon sightseeing. Perfect! It was a great tour, the driver was entertaining. Wish we had had another hour at Stonehedge itself. But, it was a first great look at Stonehedge. The allotted time, once we got to Stonehenge, was ridiculous. 1 hour is nowhere enough time to take the bus to and from the stones and see everything. I wasn't the only one upset, either. A guided tour would have been better. Great experience and wonderful services by the agency. Thank you.